Jay Cutler will get a rematch against the 2011 Mr. Olympia champ Phil Heath in the 2011 Sheru Classic Championship this weekend just one week after the Mr. Olympia. Check the 2011 Sheru Classic contestants. 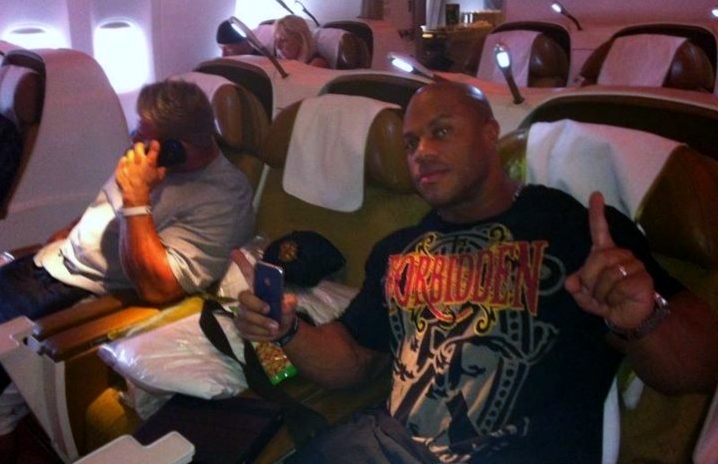 Jay Cutler finished second place to Phil Heath in the recent concluded 2011 Mr. Olympia last Sunday. Cutler won Mr. Olympia in 2009, 2010 and had won four of the last five, with Dexter Jackson taking home the crown in 2008. Although it’s first Mr. Olympia won by Phil Heath and at 31 years-old its probably the first of the many more Mr. Olympia title coming. Heath is known for his perfect biceps and triceps just finished 2nd at 2010 Arnold Classic and 2010 Mr. Olympia. 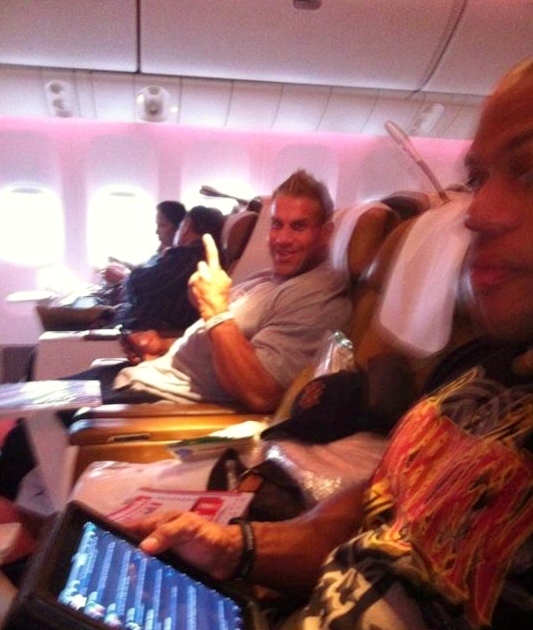 Here is some pictures for Phil Heath and Jay Cutler on plane going to Mumbai, India for the Sheru Classic this weekend.